Oral presentations must be prepared and exposed in English. Presenters should be sufficiently fluent in English to run presentation and discussion on high academic standards. Only electronic files will be accepted for oral presentations. The authors should provide the presentations in either Microsoft PowerPoint format (*.ppt, *.pptx) or Adobe PDF format. Presentations created in MAC format have to be converted in to PC format (if authors plain to use the SDEWES PC Computers for presentation) and checked in advance to their Windows compatibility. Authors should provide a copy (preferably on a USB memory stick or USB memory drive) to the Conference Technical Staff in the corresponding meeting room at least 15 minutes before the session start. If it is necessary, presenters will have the opportunity to check their presentations during the break before session starts. Date, time and session room for oral presentations is displayed in the Conference schedule. Presenters are asked to meet the chairman of each session at the beginning of the break before session. The time slot for each presentation is 20 minutes for regular and keynote presentations, and 45 minutes for invited plenary lectures. This duration include time for questions and answers: 5 minutes for regular and keynote presentations, 15 minutes for invited plenary lectures. Session chairs will hold presentations strictly to the allotted time. Oral presentations will be supplied with the following equipment: PC computer, Data projector, Screen of appropriate size, Microphone and Loudspeakers in bigger halls, and Laser pointer. Personal notebook can be used only in the case when it is equipped with VGA HD15pin female output. The conference organizers do not provide the templates for preparing the presentations. The authors are free to use their own templates and are entirely responsible for the presentation content (order, the loading, graphics...etc.). If it is necessary, presenters will have the opportunity to check their presentations in the appropriate session room during breaks. In this case please consult the registration desk staff for further instructions. Poster presentations must be prepared and exposed in English. Presenters should be sufficiently fluent in English to discuss the poster on high academic standards. Authors are ecouraged to prepare the posters according to the templates provided in the conference submission system (look in the "Download zone" panel). If you use your own template, make sure the poster is sized according to the SDEWES2016 template. Date, time and session room for poster presentations will be displayed in the Conference Schedule. Each poster must be presented by one of the authors. That includes placing the poster at the proper panel at the requested time, keeping it there the whole day and being present at the poster at the scheduled time. Poster session programming committee will strictly vet those not following the guidelines and cancel their participation. If the poster is not displayed and presented, it is automatically cancelled and the corresponding paper will be removed from the proceedings. Each poster must be presented by one of the authors. That includes placing the poster at the proper panel at the requested time of the poster session, keeping it there for the whole duration of the session. Only posters duly presented by at least one of the authors will be evaluated. Posters only displayed with all authors missing will not be considered for the competition. Missing posters will be listed on the conference web site. Members of the Poster Evaluation Committee cannot evaluate posters where they are co-authors. The posters ranked in the first three places in the competition will be presented with certificates of the achievement. 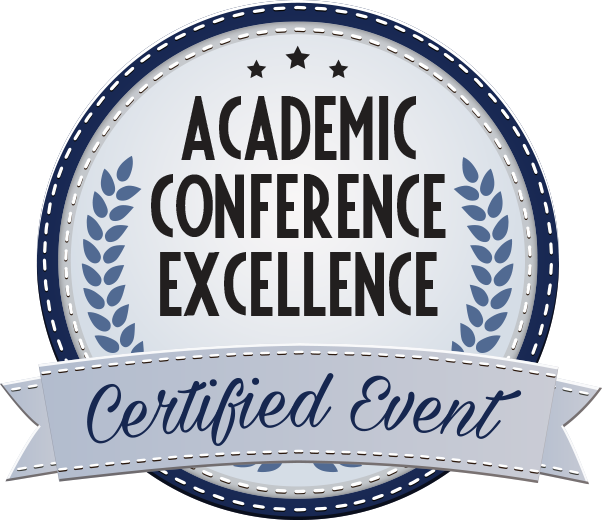 The Poster Session Programming Committee and the conference International Scientific Committee may give additional awards depending on their availability.